This was a year ago when I got my Evasion. First night with it and first night camping in it. 2006 F350 with a cheesy TracRac and a fantastic CVT Mt Ranier in Kabib State Forest outside the Grand Canyon. Coming from the North East; it’s crazy that I can just drive into a state forest and camp for free. Almost forgot the cheap no name 270* awning... it’s weak, has plastic pivot points and would probably collapse if you looked at it in a disapproving manner. I never opened it after the one time test in the driveway. I do think thats the tent I will be getting. The CVT Mt Ranier Extended pioneer....Up in the Northeast as well. 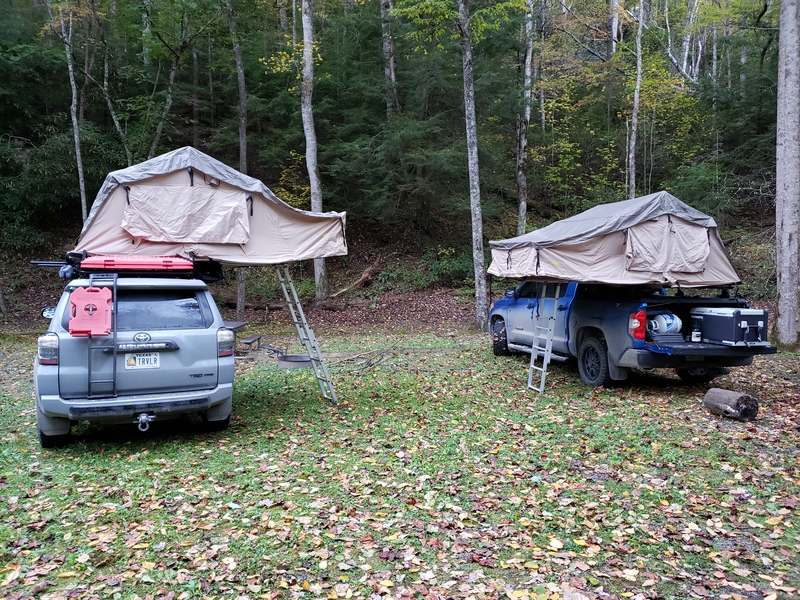 I can set up camp to sleep 2 or up to 6 by replace the ARB awning screen with a ARB awning Room that sleeps 4 and add a 10 x 12 tarp with or without screen. 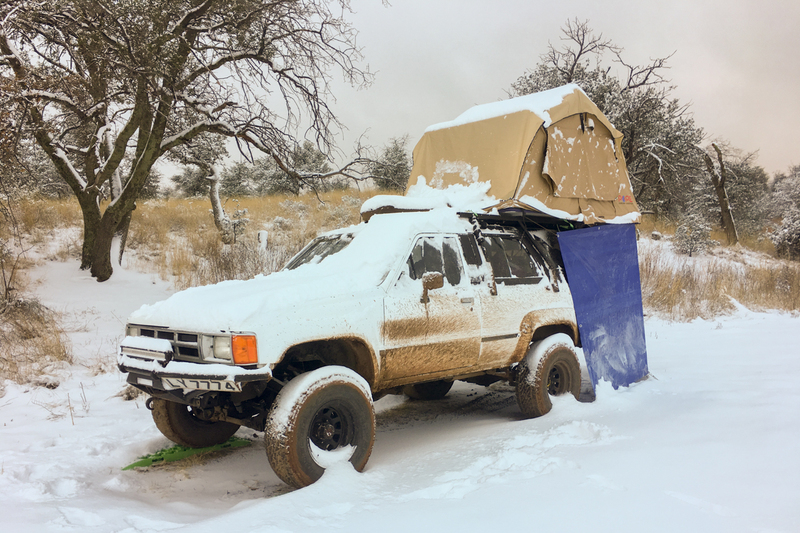 I'm not sure I will ever use a ground tent again. I've already sold one, thinking about selling another. Autohome Columbus Small XL. Perfect fit for my Gen1 4Runner, and me. How tall are you? Any other thoughts/comments on the Columbus? Any issues with water getting in with the rear angled the way it is? It seems like a great tent but I'm still wary of spending so much for, well, a tent. I went through a huge thunderstorm in December. Rain was blowing from all angles. No issues with anything getting wet inside. I'm 5'10". This is the XL small, or extra long. It's just under 90" inside. I am the same height. I have never seen either tent and was wondering which one would be better. Did you try the smaller one? What made you choose the XL? A buddy has the standard Columbus. He is also 5'10". His girlfriend at the time was a bit taller. She didn't think it was long enough. I chose the XL because I would rather have more room than less. Thanks for your help Pappy. An you have to keep the tall girls happy too. 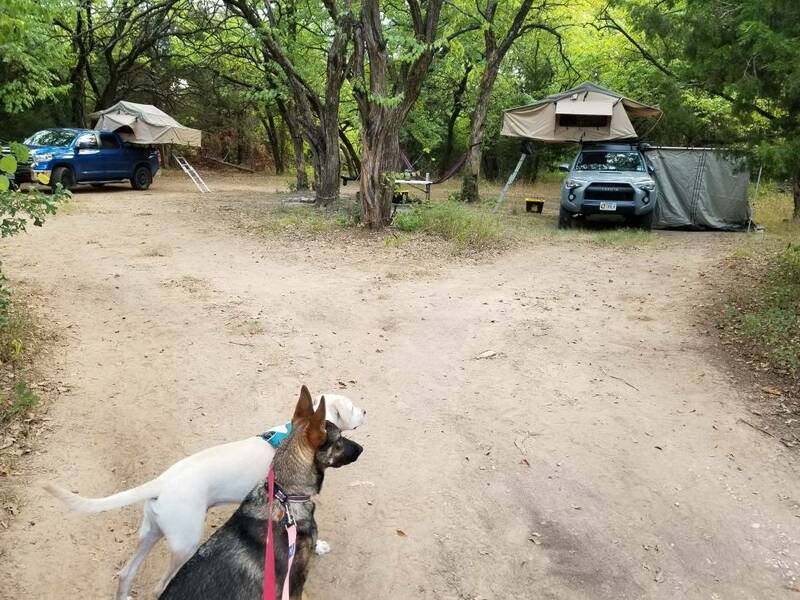 On the Rubicon last October, had the entire Springs campground to myself, and whatever critter made the loud noise I heard once inside the tent! !